Are You Ready to Change Borderline Outcomes Into Miraculous Results? Welcome educators, parents, therapists, and providers. You’ve found your power tools! Make It Happen! Start NOW! Here Are Your Autism Spiritual Approach Power Tools! 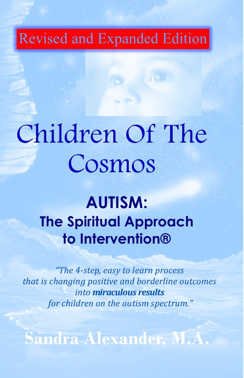 Children of the Cosmos: Autism: The Spiritual Approach to Intervention® is an easy to use guidebook filled with power tools. When this 4-step process is used in conjunction with traditional interventions, join educators, parents and providers across the globe who are changing borderline outcomes into miraculous results with children on the autism spectrum. Fill Your Autism Spirit Power Toolbox! you have every you need to change everything! classroom and in the therapeutic setting starting NOW.